World War I took a terrific toll on ocean liners operating in both civilian and military service. Cunard Line’s Lusitania is the best known casualty of German aggression against British liners, but there were also dozens of other victims. 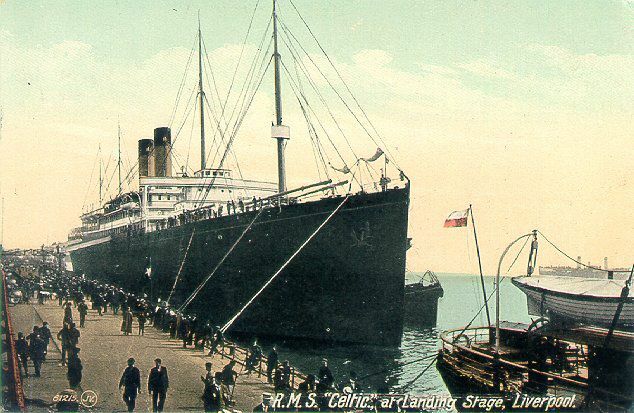 White Star Line’s Celtic (1901), for example, was nearly sunk twice during the war. On 15 February 1917 Celtic, while in civilian service and bound from Liverpool to New York, struck a mine off the Isle of Man laid by the German submarine U-80. Although Celtic survived, 17 people lost their lives. The liner’s shaken passengers were transported to Holyhead, Wales. 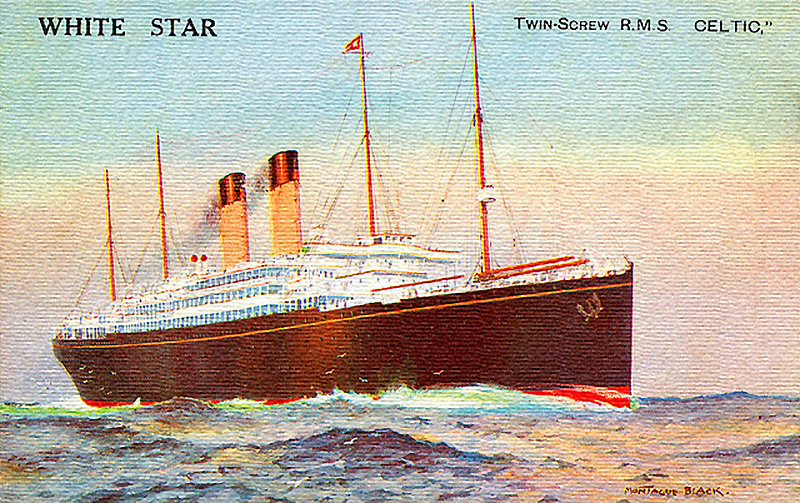 The damaged Celtic was towed back to Liverpool by Canada (1896), a liner operated by White Star sister company, Dominion Line. Shortly thereafter, Celtic was then moved to Belfast, where she was repaired and returned to service around two months later. Another U-80 victim was Celtic’s fleetmate, Laurentic (1909). Laurentic sank in January 1917 after striking two mines, taking 43 tons of gold bars to the bottom of the Irish Sea.